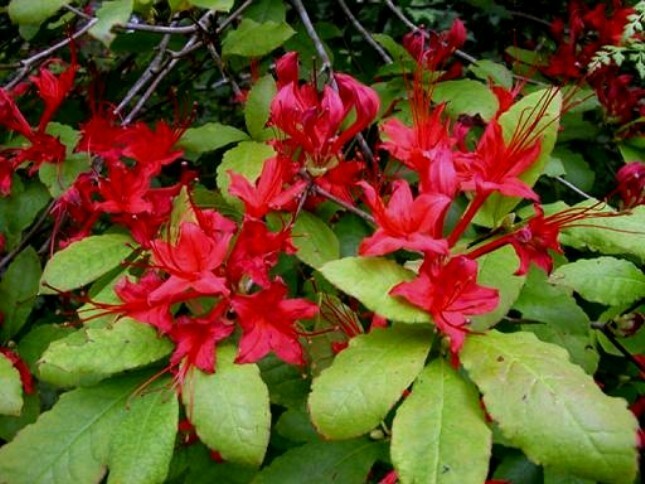 Comments: This azalea produces clusters of four to seven orange to orange-red and red flowers in midsummer. Plants can actually grow into small trees over time. There are a few places that is can be found in native stands along the Georgia and Alabama state lines. This azalea is quite prevalent at Callaway Gardens in Georgia.